Recently a member of Higashi branch of Jodo Shinshu wrote to me and said that although he likes the way I teach Jodo Shinshu and how I stand up against modern divergences, he does not like the idea of leaving his branch or joining a new one. 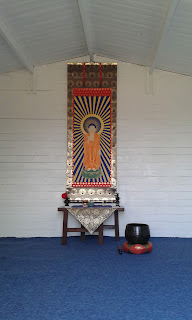 I answered that my intention is NOT to create another branch of Jodo Shinshu, nor to attract people to the Nishi (Hongwanji-ha) branch, but to awake followers of all Shinshu branches, or without any affiliation, to the true Amida Dharma as it was taught by Shakyamuni Buddha, Shinran and Rennyo. 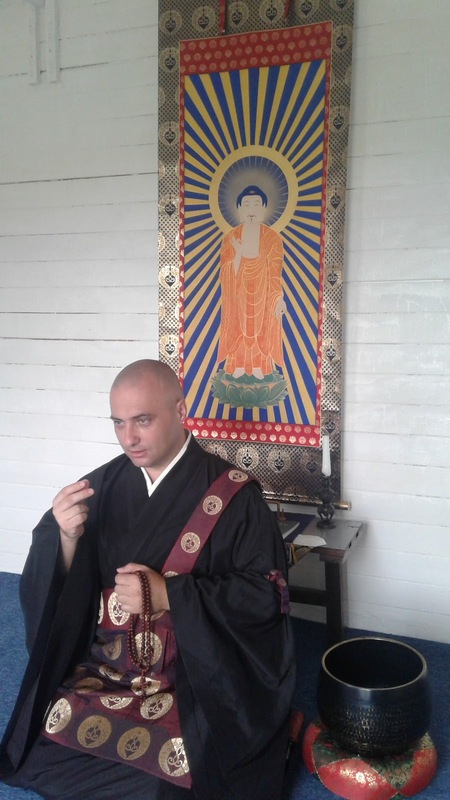 When I teach or discuss the Amida Dharma I don't make any distinction between followers of Nishi, Higashi or any branch. All I want is that the seed of true teaching be planted in the minds and hearts of all followers of Shinran Shonin, and the bad roots of wrong views be cut forever from all various Jodo Shinshu branches. So I think that my attitude would be better described by words such as, orthodox, non-sectarian and all-inclusive. At Amidaji temple and the dojos affiliated with it we chant (recite) in the traditional way - in sino-japanese, but we have the Romanian translation of the texts we use and the phonetic transcription. We usually recite either Shoshinge (hymn composed by Shinran), Sambutsuge (hymn from the Larger Sutra), Juseige (hymn from the Larger Sutra) or Amidakyo (Smaller Amida Sutra) followed by a (not fixed number) of Nembutsu recitations in the form of “NA MO AMIDA BU”. 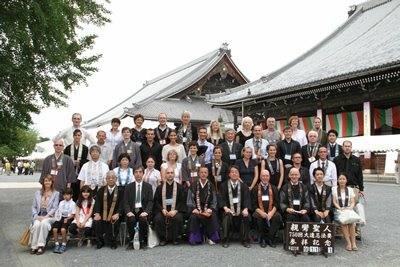 Thus, when we meet with Jodo Shinshu followers from other countries, we can also have a common religious service (which is very easy to learn given the phonetic transcription), no matter which is their mother tongue. I find it wonderful to see people of different countries having a little service together, while they also have the translation in their own languages. This is also the reason why services are held at Hongwanji mother temple (Kyoto) in exactly the same way. However, our services are not complicated, and do not last long, as we give the most of our attention to Dharma talks and discussions. 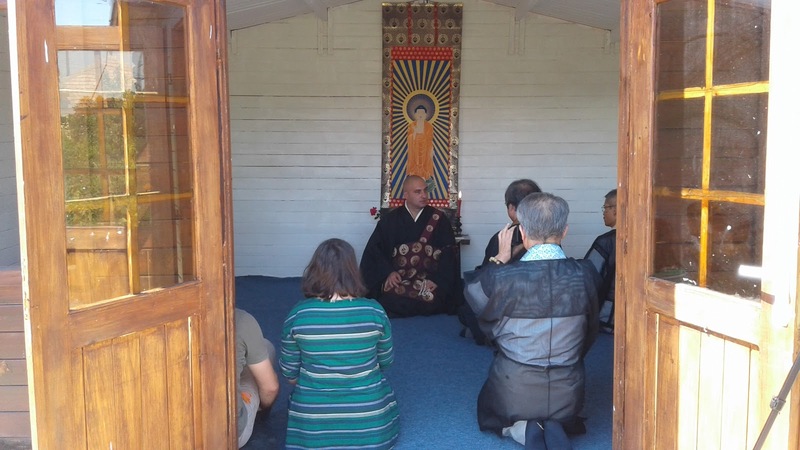 I also make refuge ceremonies for those who wish to enter the sangha, when the new member chants together with the sangha The Three Refuges followed by Ryogemon (Shinshu Creed) in Romanian. I also ask my members to learn Ryogemon by heart. 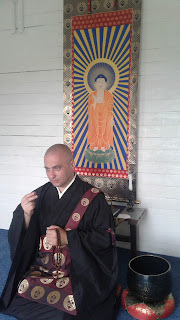 No meditation is taught in the Romanian dojos/temples because Shinran and Rennyo did not taught meditation and our tradition is not about meditation. Also, in the Primal Vow, only Nembutsu, Faith and the wish to be born in Amida's Land are mentioned, and we do not feel the need to add something to it. 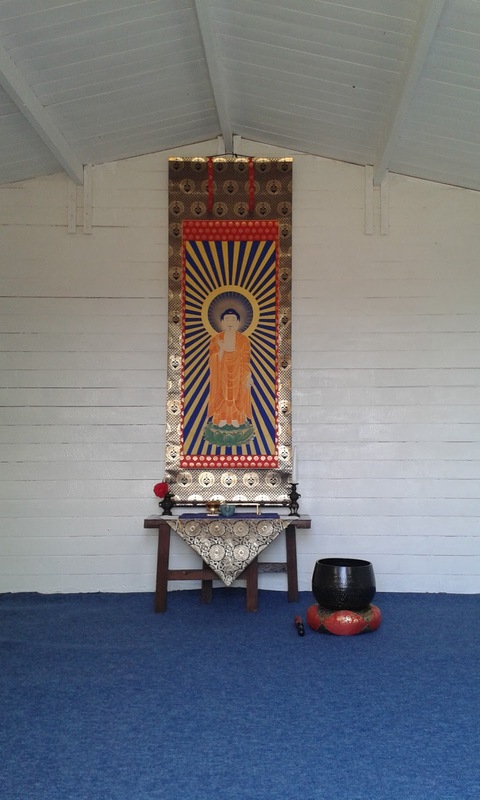 Jodo Shinshu is a Buddhist teaching complete in itself and our single desire is to be in accord with the Primal Vow. The greatest importance in the Romanian Shinshu sangha is placed on understanding the Dharma, listening the Dharma over and over again, asking questions, etc. Listening the Dharma is the only way to open the mind and heart to the Call of Amida Buddha. This is in accordance with the teaching and instructions of Shinran and Rennyo who always emphasized listening the Dharma. Chanting at the beginning of the meeting is only as a prelude to listen to the Dharma and to express gratitude. 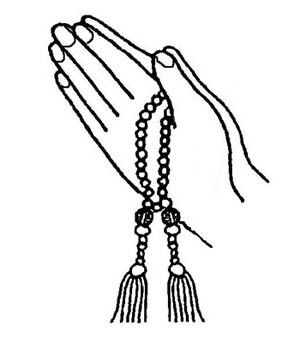 But of course, if some people can't chant (although it is very easy and chanting can be learned in a few minutes by phonetic reading), they can simply stay silently with their hands in gassho and join us in the Nembutsu. At the beginning of the meeting, when people enter the dojo, they bow to the sacred image of Amida at the entrance, then they bow to greet the other members. They do the same at leaving the dojo. All members and visitors, no matter they are priests or lay, must follow the rules of the dojos. I am trying to make my members aware of the modern divergences from the Shinshu teaching that are prevalent in our days so that they can stay away from them. Somebody who knows that I insist very much on discipline, recently asked me why do we need discipline in a dojo or temple.I think the answer is very simple: Because we are crazy. Being unenlightened persons, everybody has his or her level of sickness and madness. We have some rules of behavior in the dojo, because we must not allow our madness to enter it and influence the others. At the dojo we don’t speak about our personal ideas or fantasies, we don’t express our everyday personalities, but concentrate on the single goal of listening the Dharma in order to receive shinjin and be born in the Pure Land. We don’t speak about politics or personal ideas about this or that, we don’t engage in personal debates and fights. We also don’t show interest in the private lives of our fellow practitioners. We don’t enter in their private lives to judge them. It really doesn’t matter what members of a dojo are in their private lives. We just try to leave aside ourselves and concentrate on the Dharma. 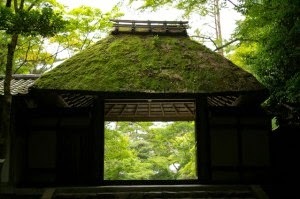 It is not good to enter in a temple where people are fighting about their personal lives. That is not a suitable atmosphere in which we can concentrate on the Dharma. Everybody’s life is difficult and everybody has his/her own problems. We never know what truly happens in somebody’s heart. This is why we should always try not to disturb anybody with our own personality, ideas and judgments. We should all concentrate on the Dharma and help each other to do the same. We should create an atmosphere in which everybody, no matter their difficulties and differences, can easily concentrate on the Dharma. We should not follow personal goals in coming to the dojo or temple. This means that we come to the dojo not in order to express ourselves, our opinion on such and such worldly matter, to have a chat or who knows what, but to listen to the Dharma. We also don’t come to the dojo to make friends, find a wife or husband or to eat cookies. We should come to the dojo or temple like to the hospital where the best medicine is given to all. We should take the medicine to ourselves and help others take it, without interfering or disturbing no one and of course, without changing the medicine. This is the essence of discipline in the dojo or temple.